The Gwangju Biennale on Tuesday said it has recently received the Ministry of Unification’s approval to contact three North Korean artists. The messages have been sent to invite them to a North Korean art exhibition to be held in September at the biennale, it said. “Gwangju Biennale made a request to the Unification Ministry in June and received the approval in early July to contact the individual artists from North Korea,” the Gwangju Biennale’s officials said. The Biennale will proceed to take the necessary steps with the Unification Ministry should it receive a positive response, the officials said. Meanwhile, the biennale has also finalized the inclusion of 22 North Korean artworks for the special exhibition. 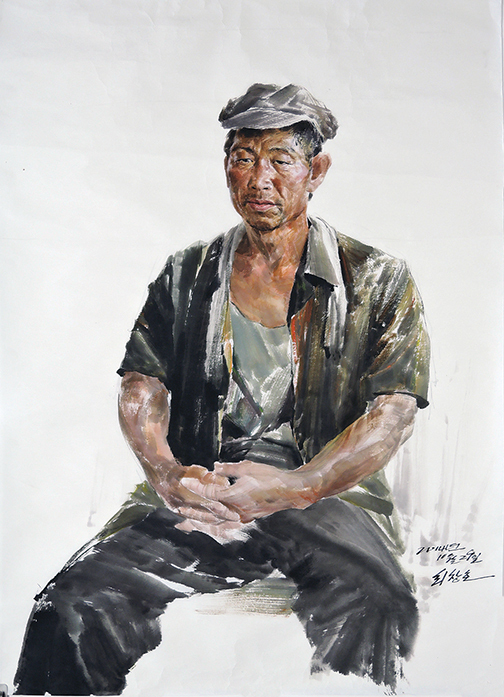 Among the 22 works headed south are North Korean artist Choi Chang-ho’s 2014 painting “A Worker” and Kim In-sok’s 2018 work “Rain Shower at the Bus.” Also included are five large paintings by an artists’ collective. The pieces will be transferred to Gwangju starting at the end of July for installation at the Asia Culture Center for the exhibition, the officials added. 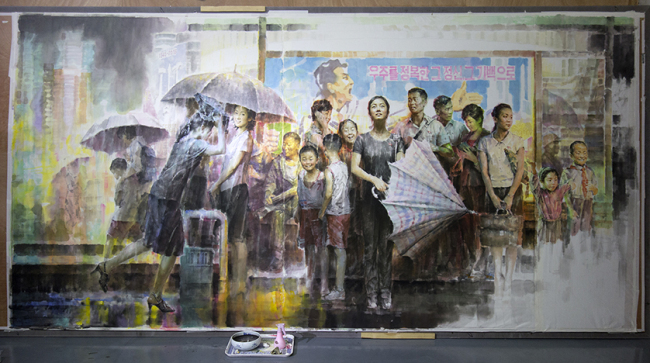 Works produced at the Mansudae Art Studio in Pyongyang will also be shown in Gwangju. These works are part of a collection from the Mansudae Art Studio’s Bejing branch and the US-based Yedo Arts Foundation. The artworks will go through review processes by the Culture Ministry. The North Korean art exhibition is curated by BG Muhn, an expert in North Korean art and a professor at Georgetown University. Muhn previously organized an exhibition of North Korean art at the American University Museum in Washington in the summer of 2016.